Posted on May 12, 2013	by Picture This Great Teaching	in High School	with Comments Off on Kaye Y. When I picture great teaching I see teachers motivating students beyond the classroom setting. 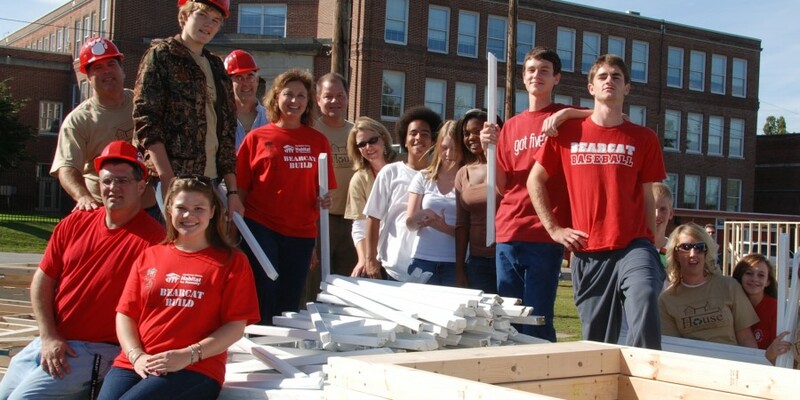 The faculty at Hendersonville High School organized an all school build with Habitat for Humanity along side the entire student body. After completion of the house the keys were handed over to a member of the student body and his family. What an inspirational teaching moment for both students and faculty.